Our BOAT TRAILER PLANS feature the most modern, up-to-date, and technologically advanced features available to give you a boat trailer that’s equal or superior to those you can buy. Created by designer, Ken Hankinson, long associated with TRAILERBOATS Magazine as columnist and contributing editor, he knows boats AND boat trailers inside out. 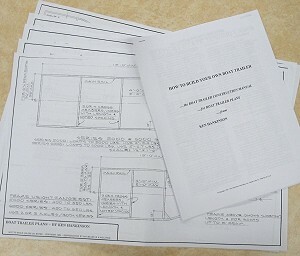 Each plan includes a comprehensive ILLUSTRATED MANUAL detailing all aspects of the project for QUICK & EASY assembly by anyone who can weld steel. 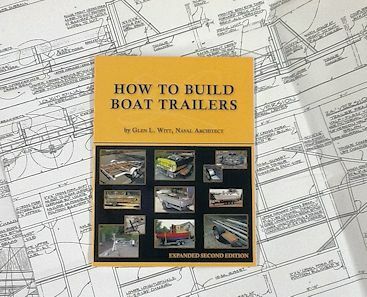 These BOAT TRAILER PLANS cover the latest in axles, wheels, hubs, brakes, suspension systems, tires, couplers, welded steel frame details, hull support systems, jackstands, and more! All parts and materials specified are standard items readily available anywhere. If you can weld or know someone who can, you can save big bucks. 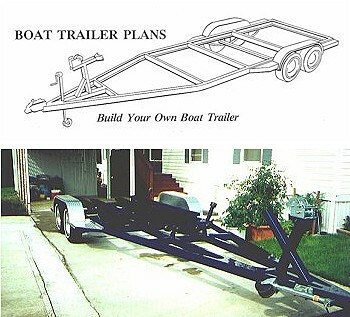 Best of all, you’ll get an all-welded steel framed boat trailer EXACTLY the way you want it to suit your boat EXACTLY! Plans are also suitable to existing boats if you know its size and weight. 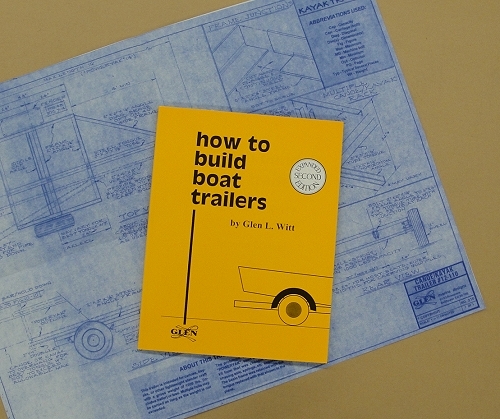 NOTE: Trailer plans assume the national legal trailering width of 8’6″. *Note: The Huck Finn and Super Huck are pontoon boat plans. See the Houseboat pages for information on these designs. 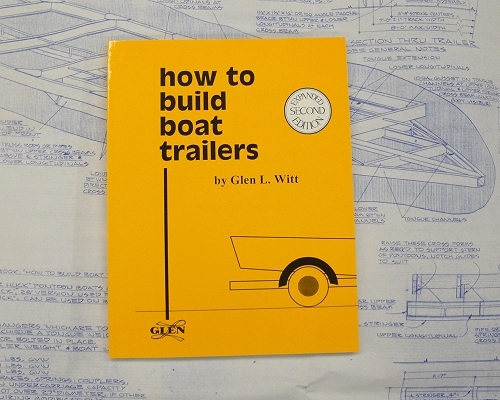 Order only if you already own the “How to Build Boat Trailers” book. Copyright 2006-2019 by Glen L Marine Designs. All rights reserved.